If a child is in immediate danger call 9-1-1. If you suspect a child is being abused, file a report with the Oregon Department of Human Services (DHS) or local law enforcement. Please see DHS Child Abuse and Neglect Reporting Numbers » for local agency contact information. Karly’s Law is named after a 3-year-old Corvallis girl who died from abuse after allegations went unchecked. 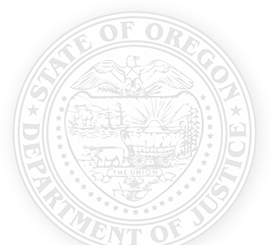 The law mandates that children in Oregon who exhibit suspicious physical injuries in the course of a child abuse investigation must receive medical attention within 48 hours. Since 2008, Karly’s Law has helped thousands of Oregon children receive the medical care and support they need to find protection from abuse. Child abuse intervention centers coordinate local service providers in response to abuse in our communities. These non-profit centers provide medical assessments, treatment and support services to help children and non-offending family members find safety from abuse. For more information, including a list of child abuse intervention centers in your area, visit the Child Abuse Intervention website ».